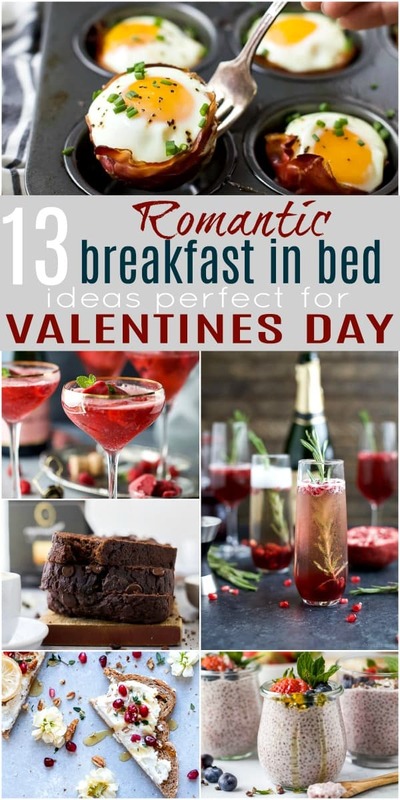 The BEST 13 Romantic Breakfast in Bed Ideas Perfect for Valentines Day. 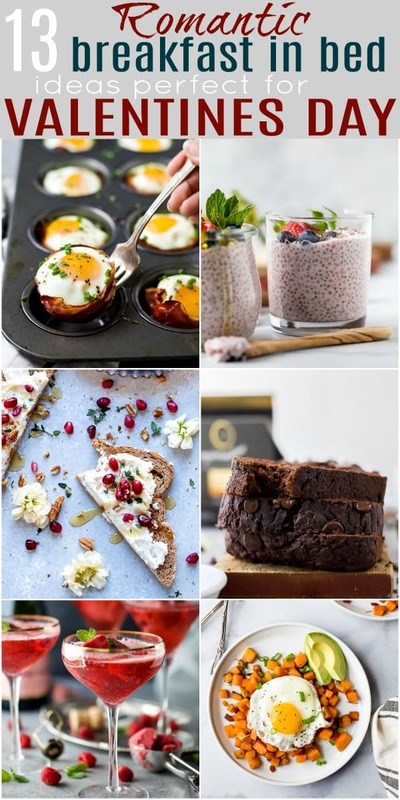 Everything from chocolate banana bread, to egg cups, frittatas, chia pudding, mimosas, waffles and ricotta toast! Breakfast in Bed. The idea of not getting up to get “all the things” ready for my other humans. 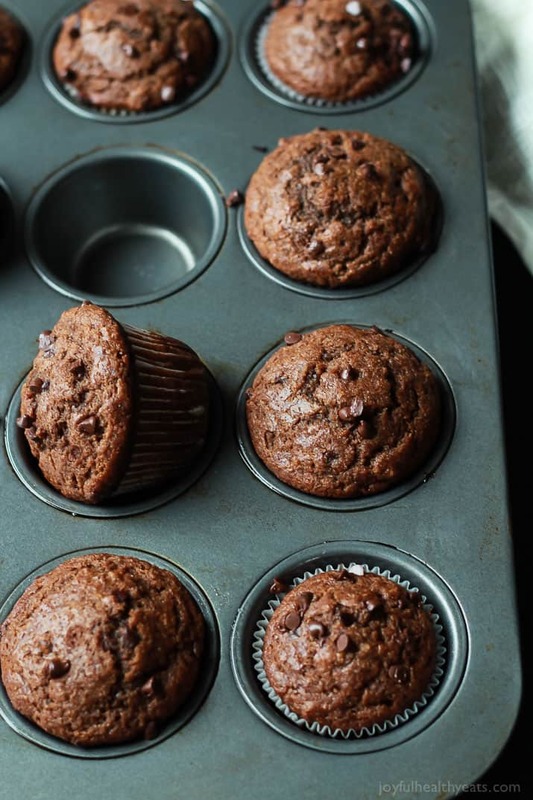 But to just lay in bed, sleep in (oh my gosh yes… only till like 8am though) and then let someone else bring me breakfast in bed with a cup of coffee. 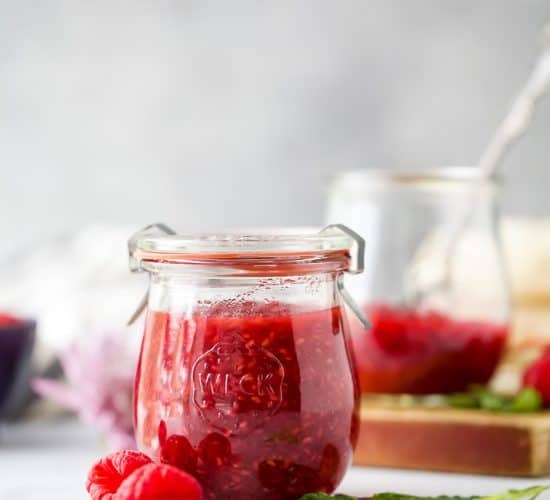 So today I put together a collection of easy yet romantic breakfast in bed ideas that you can make for your special someone on Valentines Day! 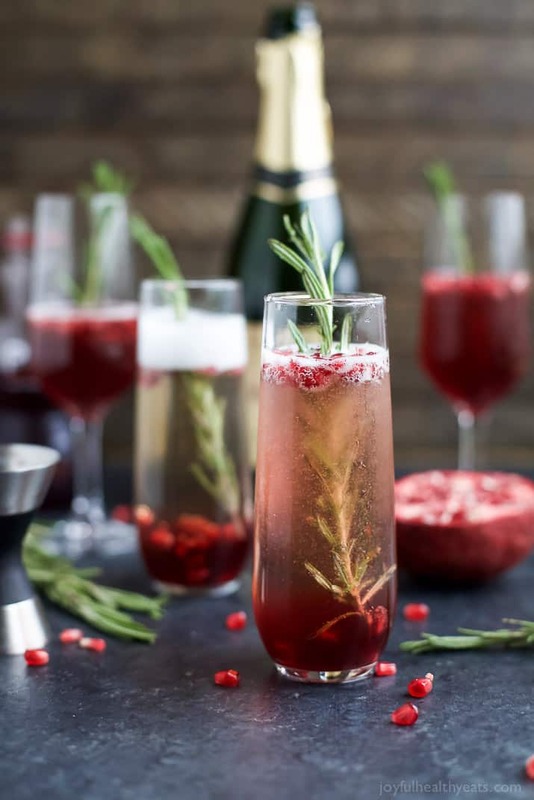 Sparkling Pomegranate Mimosas with only 2 ingredients a bubbly romantic way to start the day! 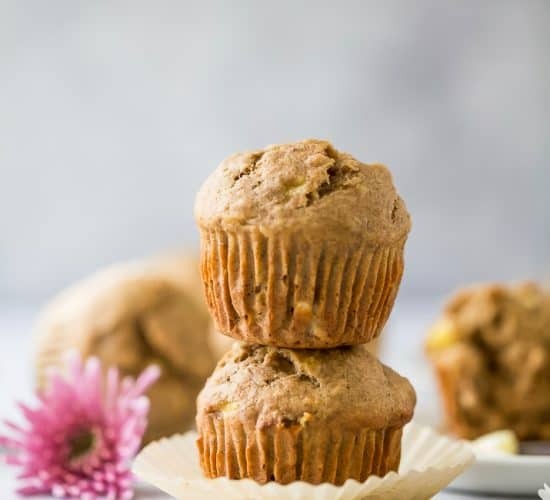 Chocolate is a must on Valentines Day and these easy moist Double Chocolate Banana Muffins are sure to win over you’re lovers heart! 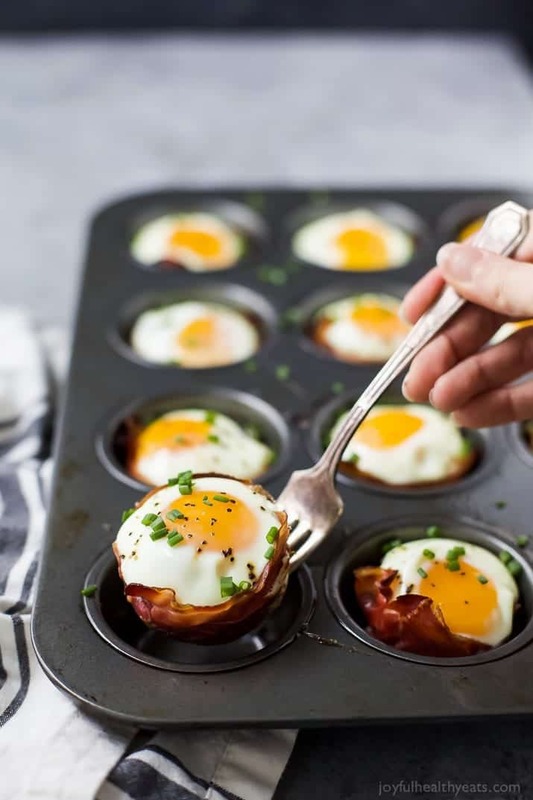 Prosciutto Baked Egg Cups, crispy salty prosciutto with an runny egg in the center. Your loved one is gonna be head over heels for this one. 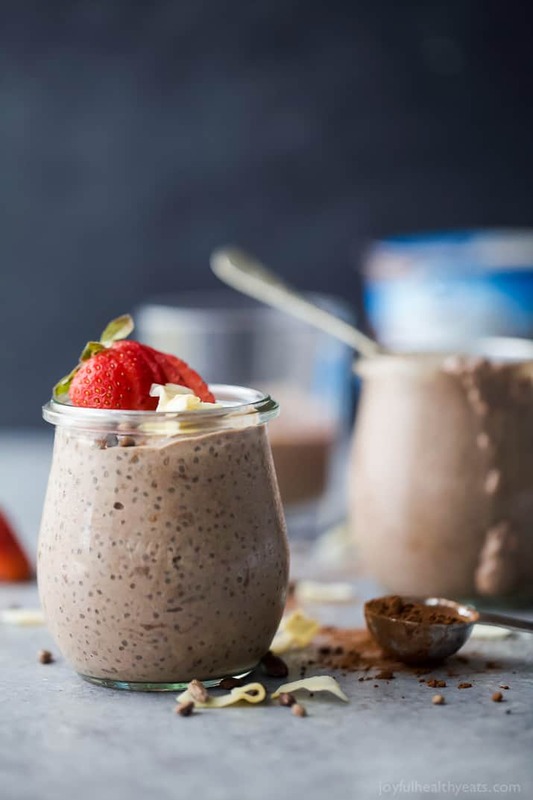 Coconut Dark Chocolate Chia Pudding a sweet treat that can be made the night before and enjoyed the next morning. 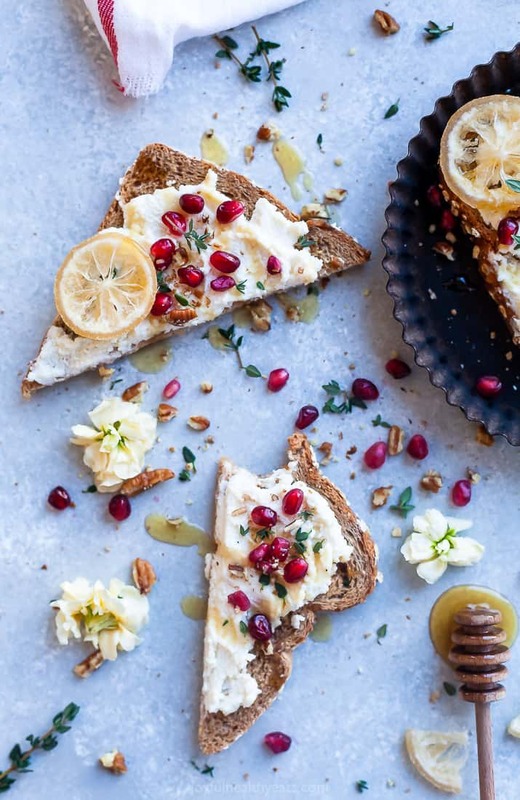 Light & Easy Ricotta Toast topped with bursting pomegranate, candied pecans and drizzled with honey and fresh thyme. 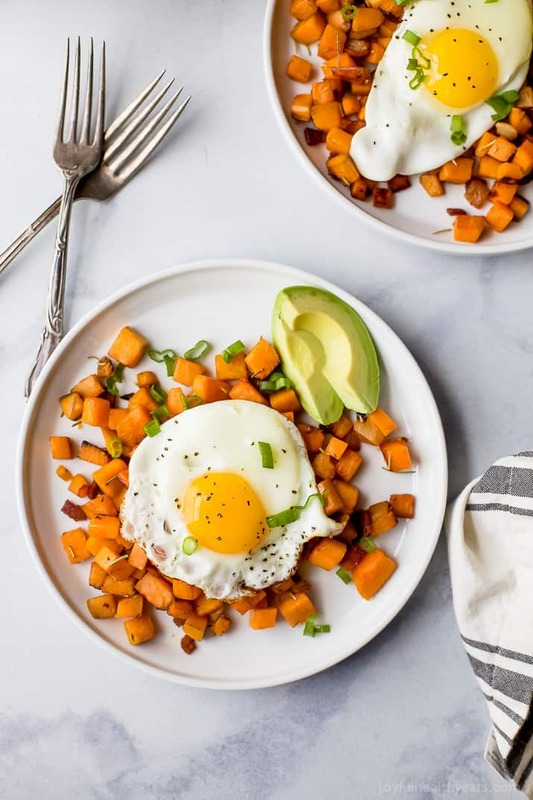 Go the savory route with this Sweet Potato Hash & Eggs, an easy delicious filling breakfast that is sure to please! 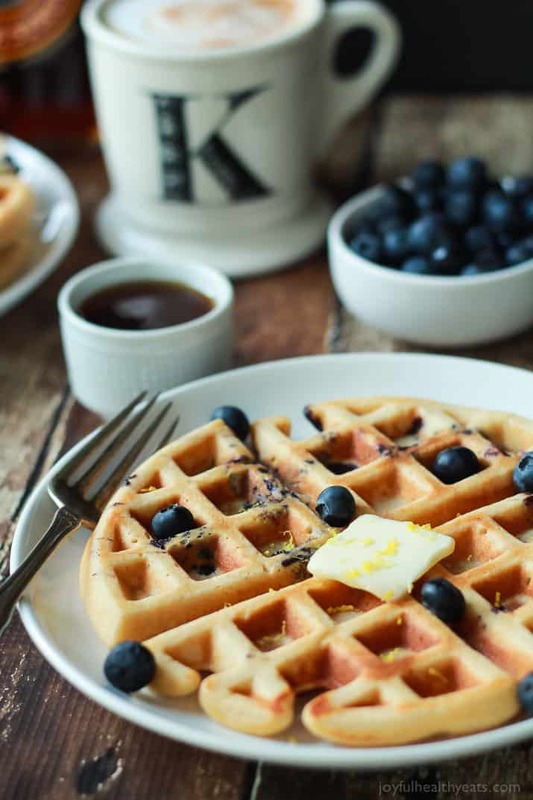 Sometimes you just need a waffle and these Whole Wheat Lemon Blueberry Waffles are perfection. 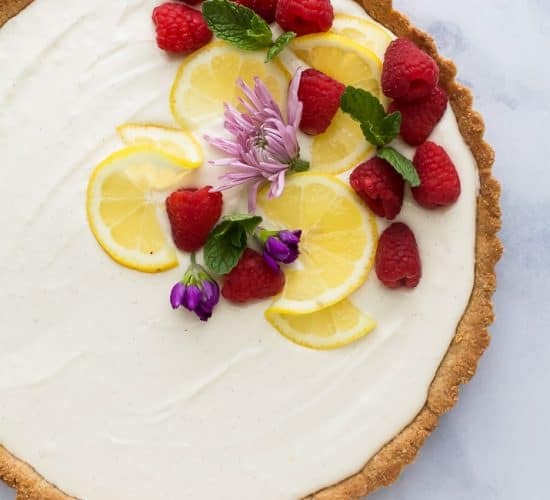 Filled with juicy blueberries and fresh lemon zest these are must! 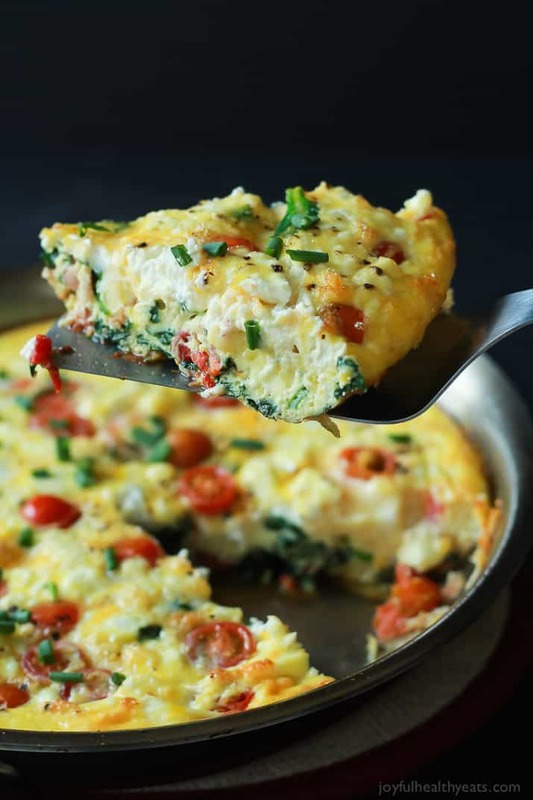 Cheesy Bacon Spinach Frittata filled with goat cheese, roasted red pepper and bacon. 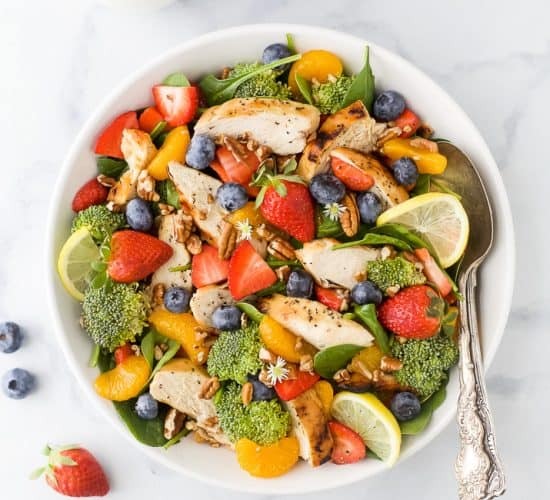 Everything about this dish will make your special someone fall in love with you all over again. 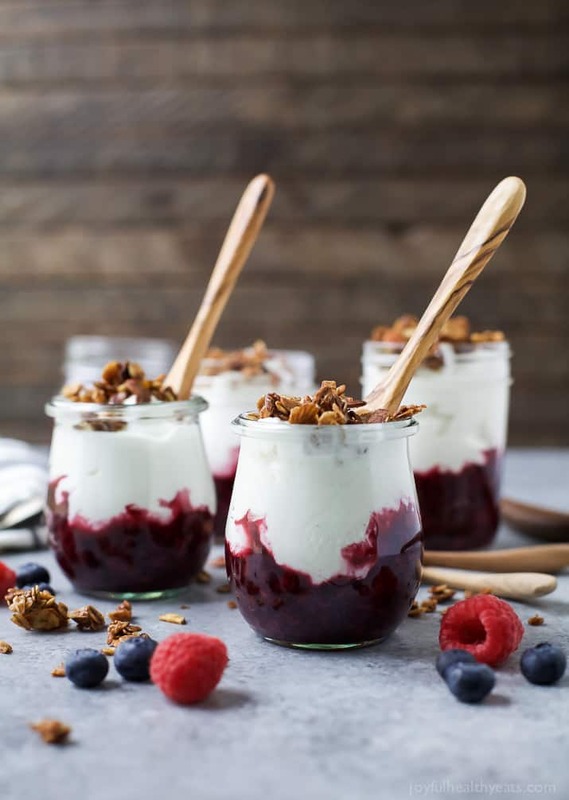 Light & Fresh Yogurt Parfait filled with a homemade Mixed Berry Compote and crunchy vanilla almond granola – the perfect creamy treat for the morning. 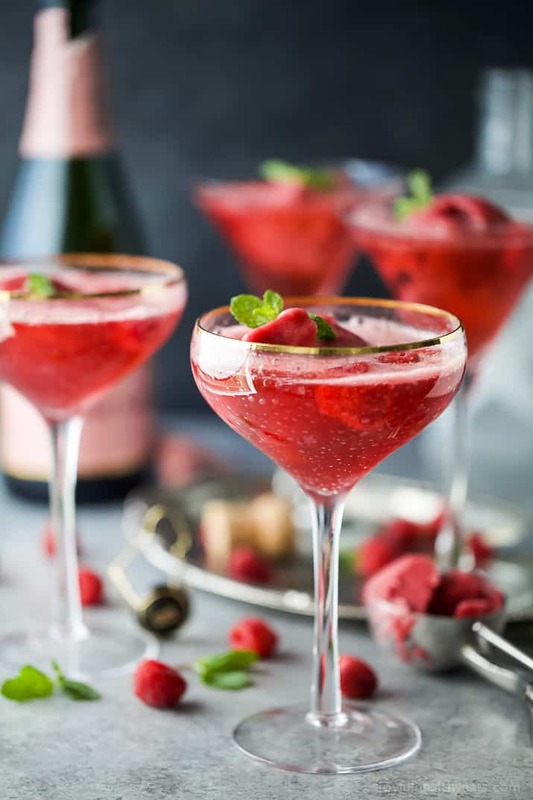 Giggle juice in the morning is a must on Valentines Day and this Raspberry Sorbet Rosé Float is a fun beautiful cocktail to woo your special someone. Made with raspberry sorbet, Rosé and vanilla vodka! 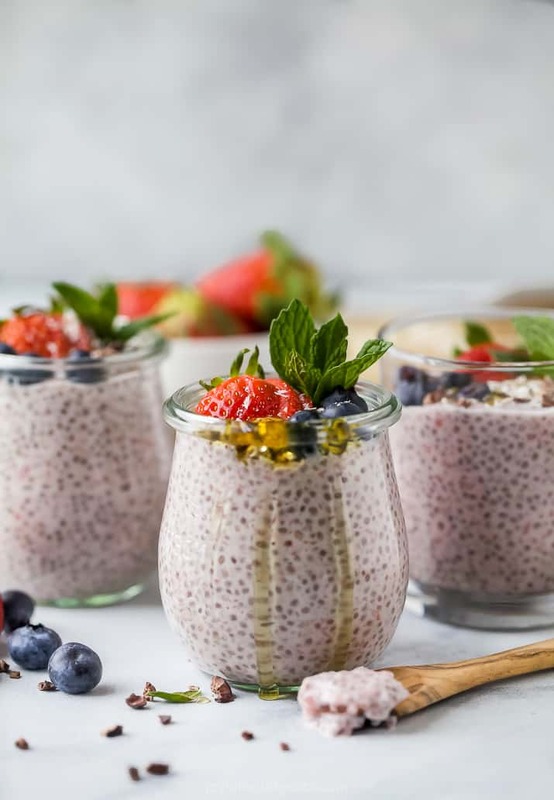 Easy & Creamy Strawberry Chia Pudding a light sweet treat that can be made the night before with fresh strawberries, coconut milk, honey and chia seeds! 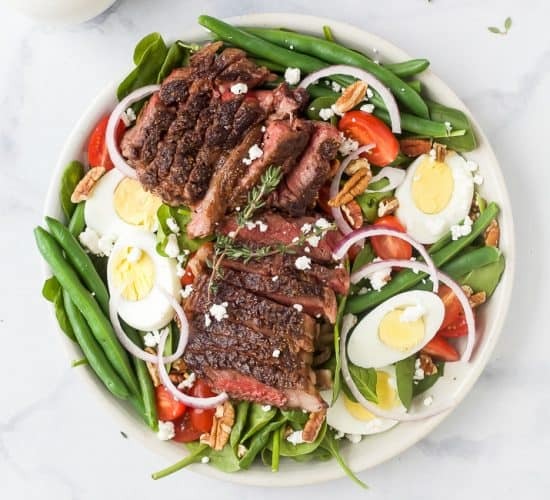 Everything about this dish is comforting. 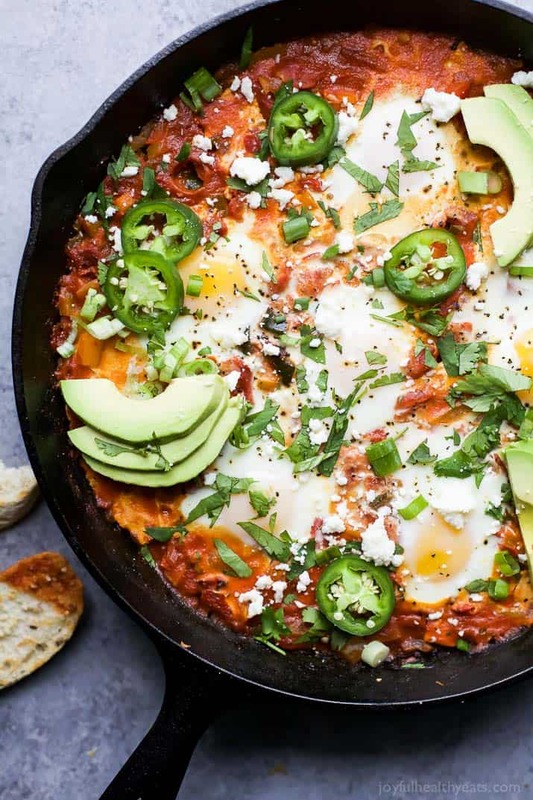 One Pot Mexican Shakshuka – eggs baked in a spicy mexican inspired tomato sauce – it’s egg-cellent! 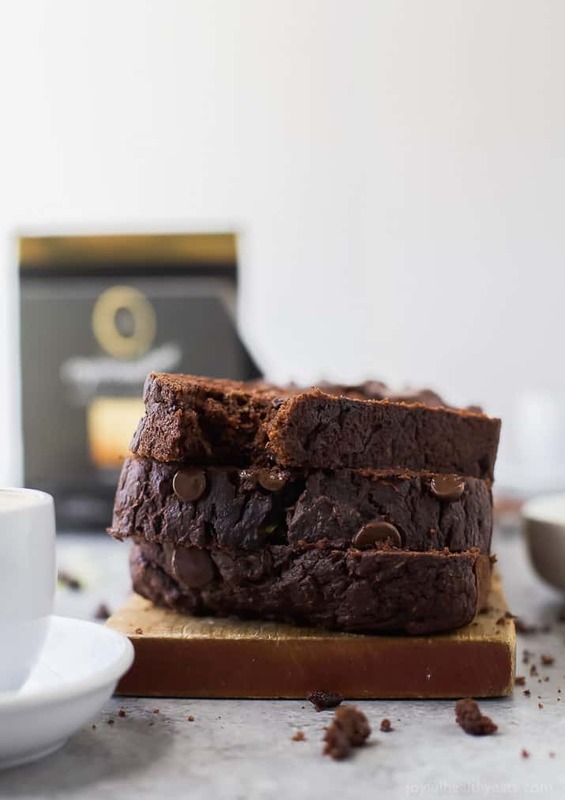 Last but not least, Moist Double Chocolate Zucchini Bread this bread will remind you of fudgy chocolate cake. Definitely a bonus when it comes to a valentines food!